SWIMMING: WOKING’s top swimmers were out in force at this year’s British National Summer Championships at Ponds Forge in Sheffield. The six-day event was a showcase of the best of Britain, which saw 18-year-old Commonwealth Games swimmer Anna Maine scoop bronze in both the 50m backstroke and 100m freestyle events. 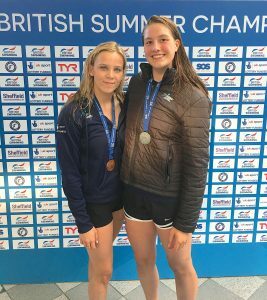 Hannah Burvill, currently on a full swimming scholarship at the University of Iowa, made a welcome return back to the UK to storm through her heats to reach the finals of the 100m freestyle.